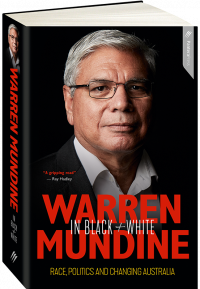 Best-selling political memoir – Warren Mundine in Black + White. 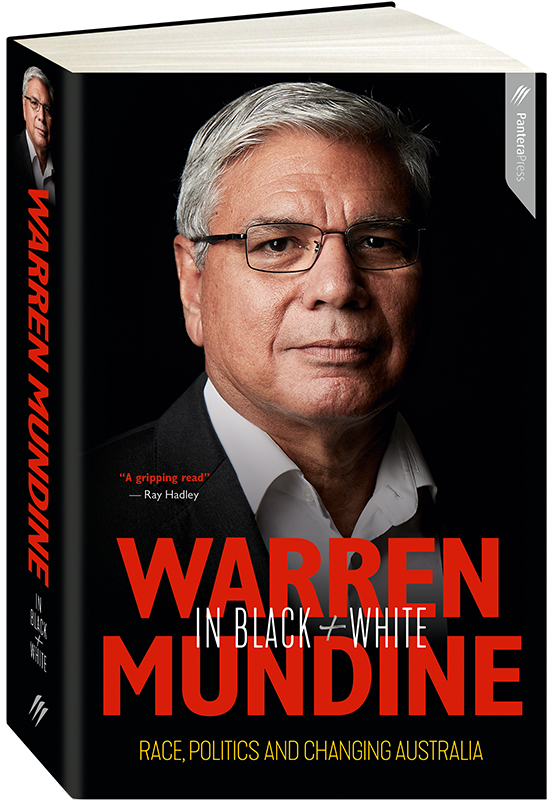 Overcoming segregation, discrimination, personal hardship and political betrayal… Nyunggai Warren Mundine tells it all in black and white. The highly anticipated and revealing memoir from one of Australia’s most significant Indigenous leaders. Warren’s raw, intimate success story shines a bright and inspiring light showing there is no limit to what you can achieve. His curriculum vitae runs into pages of honours, appointments and awards. So it’s extraordinary to consider that, as an Aboriginal boy in the 1950s, he was a second-class citizen, born into a world of segregation and discrimination that few Australians today are truly aware of. Arguably the most controversial and influential of all Aboriginal leaders, Warren challenges conventional wisdom. One of eleven children in a poor Catholic family, Warren has been on a remarkable journey, from his early life in country NSW, with only one pair of shoes and a single bed shared with three of his brothers, to today where he frequents the highest echelons of power and business. Once an outsider, now an insider, Warren is regarded by many as one of Australia’s national treasures. Warren is one of the most significant and engaging personalities in today’s political spectrum. He offers an insider’s perspective on behind-the-scenes betrayals during his time as advisor to five prime ministers, with startling reveals, exclusive insights and a controversial take on the differences between Liberal and Labor. His memoir, an optimistic and inspirational tale, speaks to a changing Australia, answering a big question on everyone’s minds: what’s next? 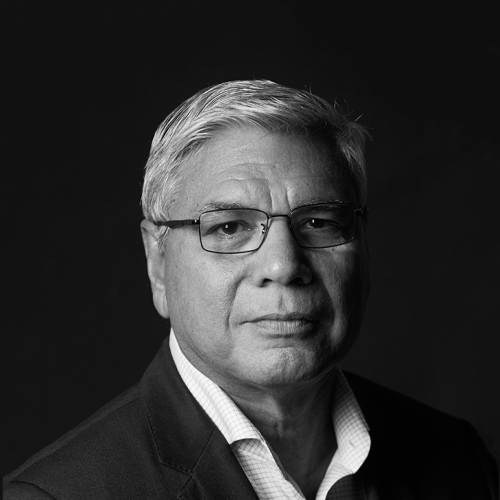 Nyunggai Warren Mundine AO is an Australian Aboriginal leader and the former National President of the Australian Labor Party. 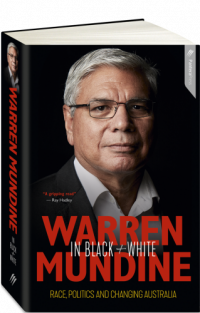 For his entire life, Warren has been fighting racism and discrimination and is one of Australia’s most recognised, respected and revered activists and agents for improving his people’s standing. Warren has served as the National President of the Australian Labor Party and was appointed to Indigenous advisory bodies under two Labor and three Liberal Prime Ministers. He was also the chairman of the Australian Governments Indigenous Advisory Council. Warren is currently a columnist for The Australian and hosts his own show on Sky News Australia, Mundine Means Business. He is the author of the bestselling memoir In Black+White.